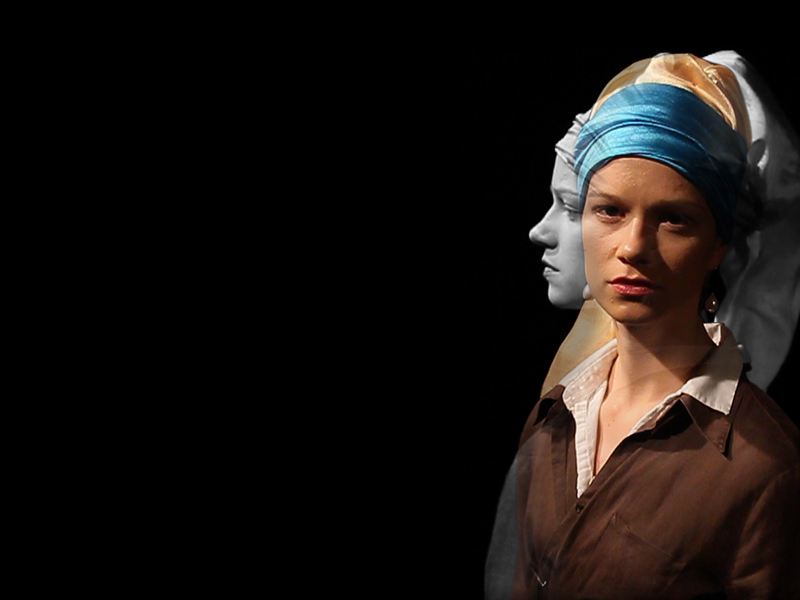 Girl with the Pearl Earring is an interactive video installation of a young woman walking her way into the unknown. Her stalker is the visitor himself. When the visitor comes close enough, she turns towards him: a part of her decides to make a step closer, the other part continoues on her own. 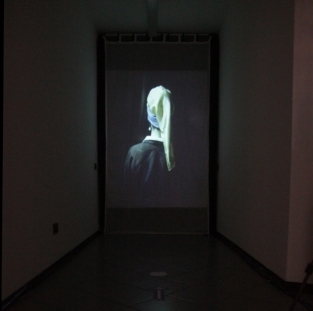 Video screen stands at the end of a long corridor, two sensors detect distance and direction of the visitor. When he walks towards the screen, video reacts. 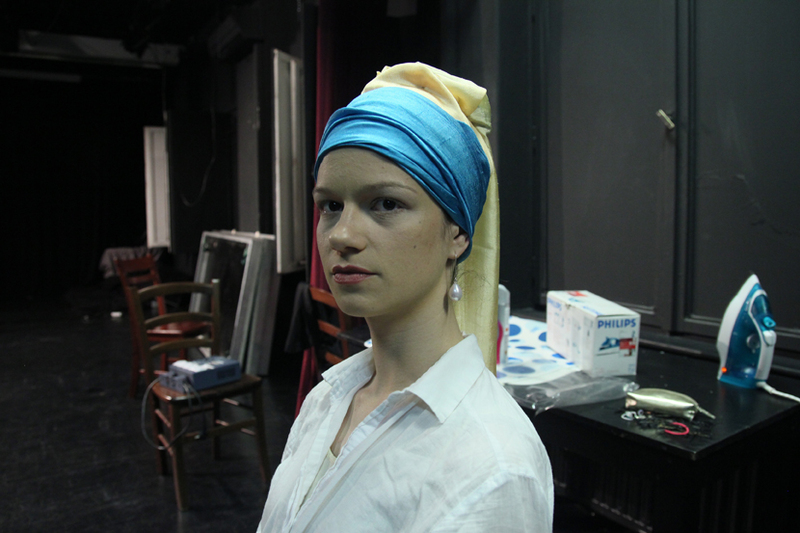 The protagonist is a revived Vermeer’s painting. I see her as a fragile, yet strong young female figure which is in an ambigous position: deciding between individual life and partnership.